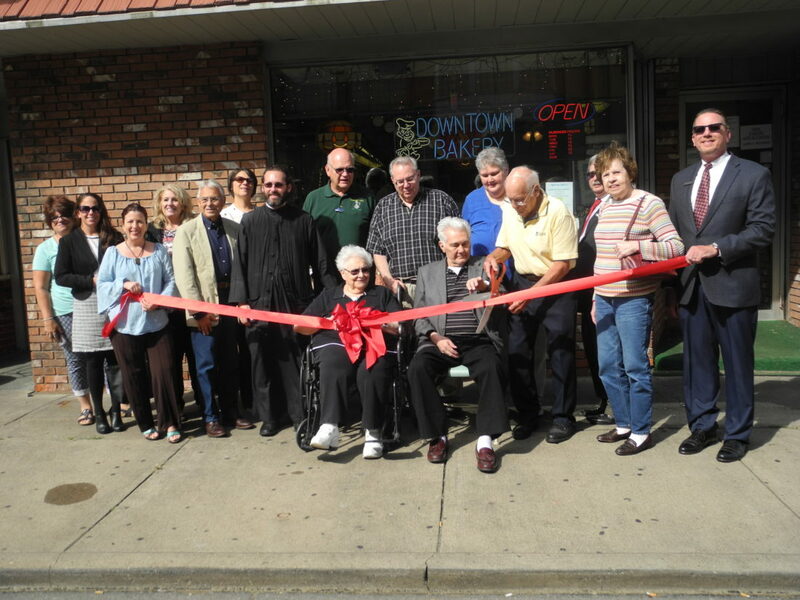 Downtown Bakery, 151 S. Fourth St., Steubenville, celebrated its 60th anniversary with a ribbon-cutting on Monday. Among those on hand for the event were, from left, Rain Lucas, Shana Wydra and Jenn Cesta, Jefferson County Chamber of Commerce ambassadors; Janet McLaughlin, chamber investor relations coordinator; Steubenville Mayor Jerry Barilla; ambassador Nicole Adamski; the Rev. 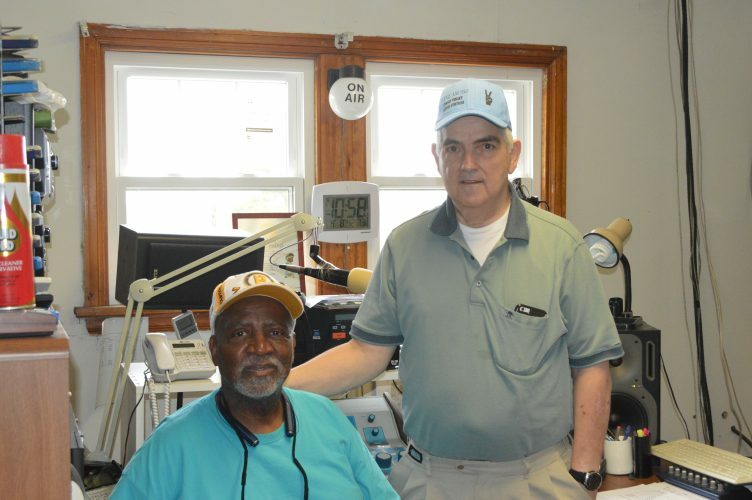 Nick Halkias of Holy Trinity Greek Orthodox Church; Donald Thompson; Marie Kamarados, who helped run the business; current owner John A. Kamarados; original owner Alex Kamarados; current owner Rikki Kamarados; original owner George Kotch; Ross Gallabrese, chamber first vice chair; Margert Kotch, who helped run the business; and ambassador Joe Shemasek.